What's that, you haven't heard of poke? It's LA's hottest healthy new food trend! Poke is a Hawaiian salad usually made from raw fish with lots of seasonings, but there's no reason poke can't be vegetarian or even vegan! 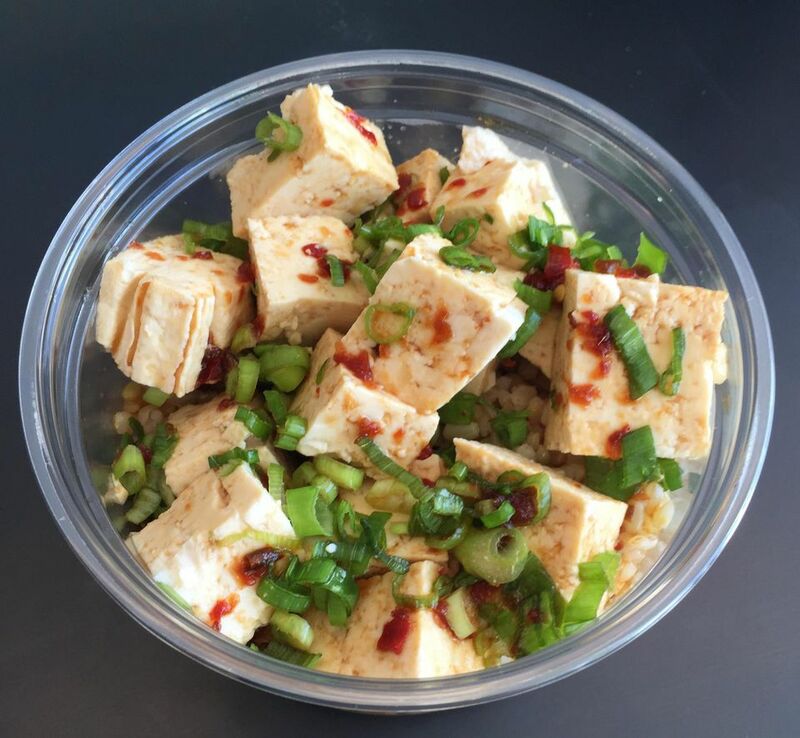 And if you're nowhere near the trendy West Hollywood neighborhood of La Cienega and 3rd, you can try your hand making a simple Hawaiian vegetarian and vegan poke at home. And if you are in LA, stop by and order yourself a custom vegan poke bowl at Mainland Poke Shop. You start with tofu and a base of rice or greens, then pile on the wasabi cream, sriracha aoli, or a milder shoyu-based sauce, and top it all off with avocado, mango, pickled ginger or edamame. Sounds amazing, doesn't it? Mainland Poke Shop's Executive Chef Kayson Chong was gracious enough to create this recipe just to share with readers. If you're curious to try poke, give this vegetarian and vegan recipe a try and see what you think! And, if you want to spruce it up a bit, take a hint from Mainland Poke Shop's menu and top it off with jalapenos, a shake of seaweed, or, if you're like me, a river of Sriracha sauce. This poke recipe is vegetarian and vegan, and, if you need it to be gluten-free, just use tamari instead of regular soy sauce to make the shoyu sauce. First, prepare the tofu. Cut tofu into 1-inch squares by cutting the block of tofu in half horizontally, then vertically, from front to back and left to right. Next, prepare the shoyu sauce. Peel and grate the ginger and add to the soy sauce, sesame oil, and red pepper flakes. Make sure all items are combined well, as the sesame oil will float to the top. Next prepare your poke toppings, the green onions. Rinse and cut off the tops and discard. Then continue to cut across the green onions as thin as possible to make very small rings. And finally, assemble your poke bowl. Gently mix the tofu and, sauce in a bowl, not breaking the tofu. Use enough shoyu sauce just to coat the tofu. Then sprinkle the green onions to taste. To serve, rice or kale can be used as a base, depending on personal preference.